[S926] BDM NSW Registry, birth record, Reg. No. 14367/1912. [S190] Index - GRO and Office of National Statistics, England & Wales Civil Registration Qtrly Indexes, Birth: District of Kingston, Vol 2a, p664. [S190] Index - GRO and Office of National Statistics, England & Wales Civil Registration Qtrly Indexes, Marriage: District of Romford, Vol 4a, p1160, 4Q1937. [S190] Index - GRO and Office of National Statistics, England & Wales Civil Registration Qtrly Indexes, Death: District of Greenwich, Vol 1d, p799. 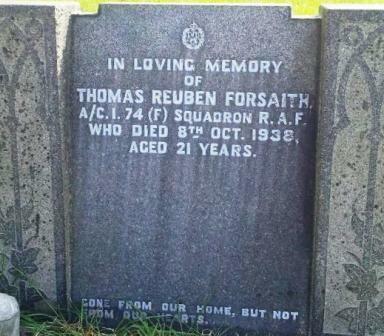 [S1033] Surbiton Cemetery database, at http://www.kingston.gov.uk/directory/20/burial_records, Section VII, class A, grave 2360. [S677] Index - England High Court of Justice, England & Wales National Probate Calendar, Administration (limited) to Frederick James Prior county council official and Daisy Prior (wife of the said Frederick James Prior). 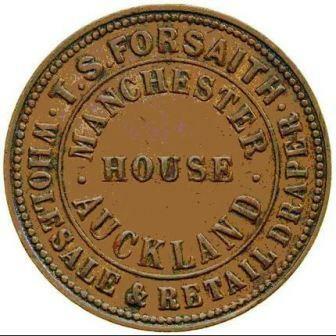 By 1847 he had moved to Auckland and established a successful drapery and manchester shop in the heart of the growing town. [S913] Newspaper - Cumberland Argus, issue of 3 Dec 1898, Obituary. [S190] Index - GRO and Office of National Statistics, England & Wales Civil Registration Qtrly Indexes, Marriage: District of East London, Vol 2, p179. [S503] OZShips - Australian shipping 1788-1968, at http://www.blaxland.com/ozships/, original source Sydney Herald of 3-5 Oct 1838. [S371] Public Record Office, Victoria, at http://www.prov.vic.gov.au, Index of Inward Passenger Lists for British, Foreign and New Zealand Ports 1852-1923, Series VPRS 7666, 7667, 7786, fiche 11, p1. [S265] Book - Edgar T. Jones, George & Martha Clarke Family Tree, p13. [S323] Family Bible - Mary Lee Clarke bible, On 30/6/1857 at the home of the bride's mother, 'Brick House', Queen Street, Auckland, married Mary Lee (Hannah) CHRISTOPHER. 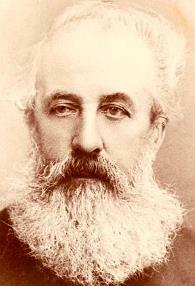 b.2/4/1826, Thetford, Norfolk, England. "The Marriage ceremony was conducted by Rev. Alexander MacDonald, Congregational minister of High St. Auckland, after the delivery of the certificate required by the Act of the General Assembly of N.Z. and entitled the Marriage Act, 1854. 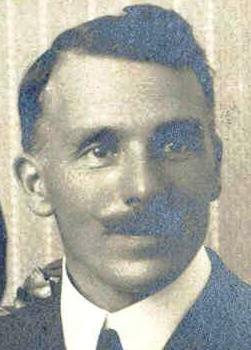 Witnesses: Thomas Morell McDonald (sic) and Charlotte Clements Forsaith. Present at the Marriage: T. MacDonald, Charlotte Forsaith, Mary Brown, Helen Burrows, Mr & Mrs Forsaith, Mr & Mrs Matthews, Mr & Mrs Nutter, Mrs Ludbrook senr., Mrs Burrows, Mrs Woodham, Mrs Christopher, Mr Ludbrook, R. MacDonald, Mr & Mrs Joseph Brown, Misses Matthews, Buttle, Lyth, Jane McIntosh. The hymn sung was 'Come let us join our Cheerful Songs.' "
[S338] Varcoe's NZ Marriage Index, at http://marvin.otago.ac.nz/marriages/, Folio 99. [S443] CD - NZ Marriages, CD - NZ Marriages 1836-1956 V2, NZ Registrar General's Folio 99. [S542] Index - New Zealand BDMs online, at http://www.bdmhistoricalrecords.dia.govt.nz/, Marriage Reg. No. 1857/180. [S922] BDM Registrar of New Zealand, birth record, Reg. No. 1877/14047. [S338] Varcoe's NZ Marriage Index, at http://marvin.otago.ac.nz/marriages/, Folio 227. [S443] CD - NZ Marriages, CD - NZ Marriages 1836-1956 V2, NZ Registrar General's Folio 227. [S924] BDM Registrar of New Zealand, marriage record, Reg. No. 1862/675 (bride) and 1862/1113 (groom). [S802] Newspaper - Southern Cross, issue of 7 Feb 1862, Vol XVIII, Issue 1476, p7. [S371] Public Record Office, Victoria, at http://www.prov.vic.gov.au, Index of Inward Passenger Lists for British, Foreign and New Zealand Ports 1852-1923, Series VPRS 7666, 7667, 7786, fiche 75, p1. [S695] Book - James Jervis, Cradle City of Parramatta, p39-40, 81. [S371] Public Record Office, Victoria, at http://www.prov.vic.gov.au, Index to Outward Passengers to Interstate, UK, NZ and Foreign Ports 1852-1886, film 1873, p3. 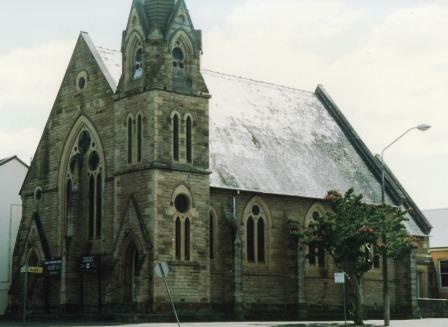 [S284] Index - New South Wales BDMs online, at http://www.bdm.nsw.gov.au, Marriage Reg. No. 2301/1880 (his name mis-indexed as LAURY). [S590] Newspaper - Sydney Morning Herald, issue of 13 Mar 1880, p1, Marriages. This gives her name as Marguerite Elizabeth SIMPSON, daughter of J S PERRY, from which we conclude she was a step-daughter - and Jonathon S Perry did marry Elizabeth SIMPSON (presumably her mother) in 1866 in Newcastle. [S371] Public Record Office, Victoria, at http://www.prov.vic.gov.au, Index to Outward Passengers to Interstate, UK, NZ and Foreign Ports 1852-1886, film 1882, p4. [S371] Public Record Office, Victoria, at http://www.prov.vic.gov.au, Index of Inward Passenger Lists for British, Foreign and New Zealand Ports 1852-1923, Series VPRS 7666, 7667, 7786, fiche 443, p2. [S351] Will - Elizabeth Clements, NSW No. 20528, NSW State Records item 19/10209 on reel 3028. [S350] Will - Thomas S Forsaith, Supreme Court of NSW, Probate Division, No. 17080; item 19/10207 on reel 3028 in the NSW State Records. [S284] Index - New South Wales BDMs online, at http://www.bdm.nsw.gov.au, Death Reg. No. 15441/1898. 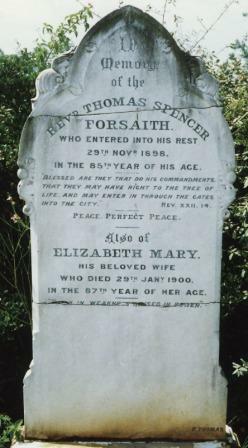 [S135] Cemetery Marker - Thomas Spencer Forsaith / Elizabeth Mary Clements, Rookwood Cemetery, NSW, Australia. [S492] Rookwood Cemetery database, at http://www.rookwoodindependent.com.au, Section Independent Old Ground, plot 22. [S350] Will - Thomas S Forsaith, Supreme Court of NSW, Probate Division, No. 17080. [S190] Index - GRO and Office of National Statistics, England & Wales Civil Registration Qtrly Indexes, Birth: District of Bethnal Green, Vol 2, p1, 3Q1838, mother's maiden name STOKE. [S190] Index - GRO and Office of National Statistics, England & Wales Civil Registration Qtrly Indexes, Death: District of Bethnal Green, Vol 2, p1. [S190] Index - GRO and Office of National Statistics, England & Wales Civil Registration Qtrly Indexes, Birth: District of Bethnal Green, Vol 1c, p308, 3Q1872, mother's maiden name DOBSON. [S408] Electronic Version of Paper - Military casualty: V Forsaith, online, Issue 36820, pg11, col B File Ref MMN01849. [S1002] Devon Heritage, at http://www.devonheritage.org/, Devon's 2nd Boer War Roll of Honour 1899-1902. [S541] National Archives of Britain, at http://www.nationalarchives.gov.uk, Soldiers' Documents, Sth African War 1899-1902, WO128. [S687] Census - 2 Apr 1911, UK census, RG14PN10160 RG78PN533B RD195 SD2 ED48 SN36. [S1001] Email - Peter S Forsaith, email - Peter S Forsaith to D H Ferguson, Aug 2014. [S190] Index - GRO and Office of National Statistics, England & Wales Civil Registration Qtrly Indexes, Marriage: District of Rochford, Vol 4a, p1313. [S677] Index - England High Court of Justice, England & Wales National Probate Calendar, administration granted in London to Flora Forsaith, widow and Valentine Forsaith, company director. [S677] Index - England High Court of Justice, England & Wales National Probate Calendar, Probate to Valentine Forsaith skirt manufacturer, Alfred Forsaith retired builder and Reuben Forsaith retired commercial clerk. [S190] Index - GRO and Office of National Statistics, England & Wales Civil Registration Qtrly Indexes, Death: District of Southend on Sea, Vol 4a, p799. [S677] Index - England High Court of Justice, England & Wales National Probate Calendar, Probate to Westminster Bank. [S581] London Metropolitan Archives, at http://www.ancestry.co.uk, Shoreditch St James, Register of Baptism, p71/js, Item 001. [S118] Census - 30 Mar 1851, UK census, ED 7 HO107-1533 Folio 188 p3 GSU roll 174763. [S340] Census - 7 Apr 1861, UK census, ED 5 RG9-3978 Folio 58 p5 GSU roll 543216. [S367] Census - 2 Apr 1871, UK census, ED ? RG10-363 Folio 22 p38. [S494] Reference - Library - London Guildhall, Bunhill Fields records for Section 6, plot 66. [S494] Reference - Library - London Guildhall, Bunhill Fields records for Section 6, plot 66, based on age at death of 19 mths. [S667] England & Wales Non-Conformist & Non-Parochial Registers 1567-1970, at http://www.ancestry.co.uk, England & Wales Non-Conformist Record Indexes (RG4-8) gives date as 15th. [S895] Newspaper - District Reporter (Camden, NSW), issue of 3 May 2013, Vol 16, No. 17, p14, col4, Death Notices; funeral notice 3 May in Sydney Morning Herald. [S1034] Woronora Cemetery database, at http://www.woronoracemetery.org.au/, Wall of Memories, Panel 31-GG, position 269.